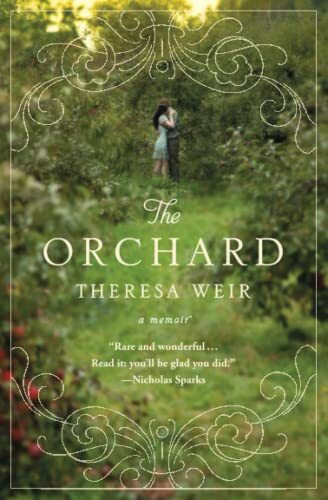 At twenty-one, Theresa Weir falls in love with Adrian Curtis, the pride of a prominent local family whose lives and orchard are said to be cursed. Married after only three months, young Theresa finds life with Adrian on the farm far more difficult and dangerous than she expected. Rejected by her husband's family as an outsider, she slowly learns about the isolated world of farming even as she falls more deeply in love with her husband, a man she at first hardly knew. In an outcome that reflects the haunting realities of the landmark book SILENT SPRING, the increasingly dangerous chemicals used on farms begins to take a toll on the land and the people who tend it. The couple's fragile love will be tested as Theresa and Adrian fight to defend ground that has been the family for generations. This is a story about one farm, but it's also a story about every farm. It's a story about a nation and big business. It's a story about people not speaking up. It's a story about our children and our children's children. It's a story about acceptance of things that shouldn't be accepted. It's a story about a young girl who falls in love, marries an apple farmer, and never sees the world in the same way again. It's a story about one of the deepest and most profound loves of all: the love of a parent for a child. The main thing I set out to do with The Orchard was to document and capture a farming era in an anthropological yet very personal way. That was my number one goal. I never really wanted this book to be about me, or about one family. I wanted it to feel like every farm, and every family. I wanted it to be a parable. Which is why I used my name only once in the book. (I wouldn't have used it at all, but I didn't want readers to think I was Lily.) I didn't want to intrude upon a story that I didn't feel was my story, but was rather everybody's story. In an outcome that reflects the haunting realities of the landmark book SILENT SPRING, the increasingly dangerous chemicals used on farms begins to take a tool on the land and the people who tend it. The couple's fragile love will be tested as Theresa and Adrian fight to defend ground that has been the family for generations.